Windy City Aviation provides comprehensive services for the Chicago aviation community. From aspiring pilots looking to take their first discovery flight to current aircraft owners seeking turnkey management services, Windy City Aviation can meet your needs. For the existing pilot looking to use one of the planes in our fleet, we can help you find the the right plane for your mission. Located at Chicago Executive Airport, Windy City Aviation has been service the Chicago aviation community for nearly 30 years - we can help you bring your aviation dreams to life. Give us a call (847-808-1188)or send us a message. Teaching people to fly safely is the core of what we do at Windy City Aviation. From teenagers pursuing a passion that may grow into a profession to parents looking to ease the family commute to a vacation home, we want to share our passion for aviation with you. Looking for the perfect gift for the aviation enthusiast (or aspiring aviation enthusiast)? Consider giving them the gift of flight with a Discovery Flight or Gift Certificate. Learn to fly safely from our team of Certified Flight Instructors (CFIs) using our structured training curriculum refined over the last 25+ years. 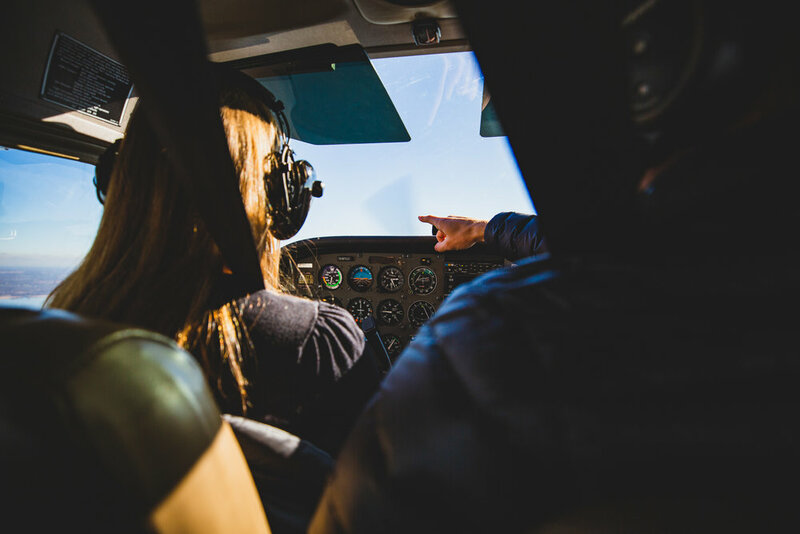 We can guide you through the process of getting your Private Pilot License and then move on to get your Instrument Rating - ensuring that you have the right set of skills to safely pursue your aviation goals. Learn to Fly - Fly to Learn. We can help you expand your skills by adding new ratings (Instrument, Commercial, etc) or help you keep your existing skills current/sharp through proficiency's checks. We believe that a good pilot NEVER stops learning, and we are here to help you in that pursuit. Windy City Aviation is proud to be a long-time partner with Cirrus Aircraft. 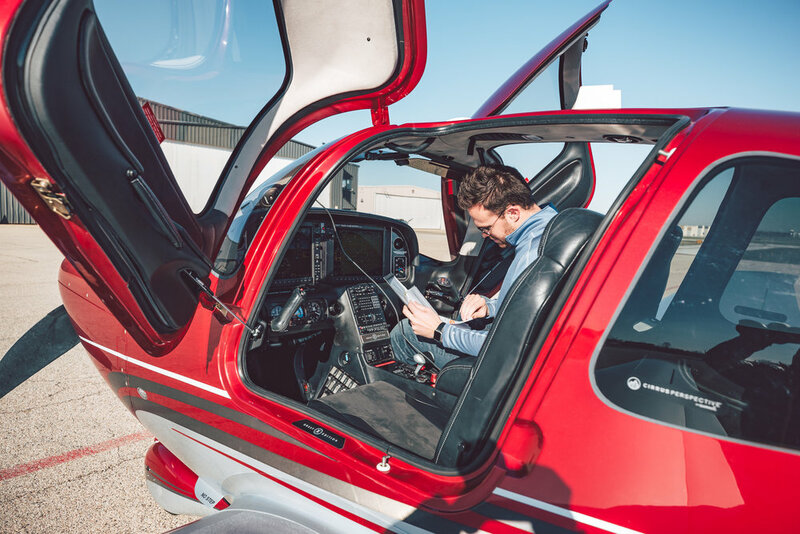 Our factory-trained instructors ensure that we meet Cirrus’ high standards for providing safe and proficient flight instruction and world-class customer service. We are proud to announce that for the second year in a row Windy City Aviation has been recognized as a Distinguished Flight School by the Aircraft Owners and Pilots Association (AOPA). Our on-airport maintenance shop is staffed with certified/factory trained technicians that will ensure all required service is performed in a timely manner and with minimal downtime. We work closely with our owners to perform scheduled maintenance around their schedule and ensure that unscheduled maintenance is diagnosed and addressed quickly. 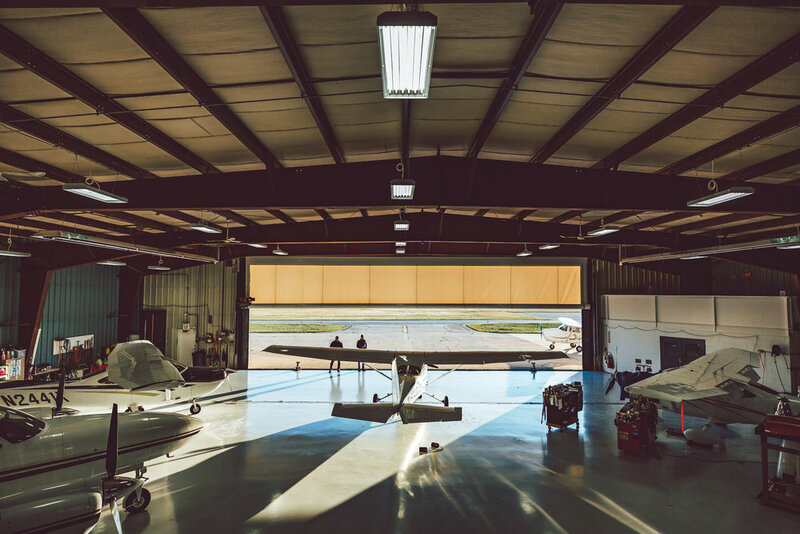 We work with our owners to ensure their planes are kept in full-service and heated hangar facilities. When you schedule a trip/flight, your plane will be fueled up and ready to go when you arrive at the airport. Should you need assistance coordinating accommodations at a destination airport, our dispatch team will work with you ensure everything you need is waiting for you when you arrive.